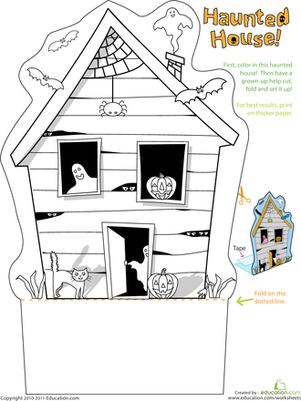 This haunted house worksheet shows you how to make a 3D haunted house using only paper, crayons, and tape! 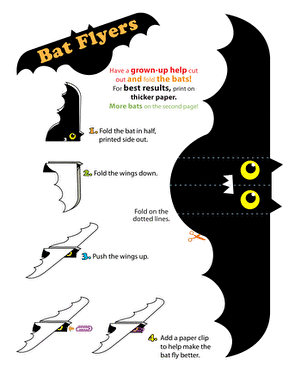 After your child colors in this eerie haunted house scene, he'll cut it out and fold the built-in stand so that it can rest on a table, desk, or countertop until Halloween. 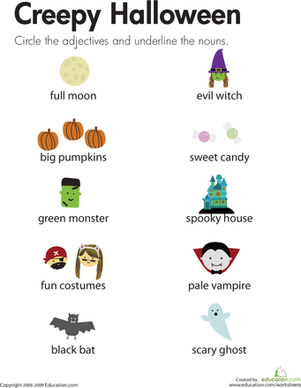 You can even print out a set of these haunted house worksheets, and have your child decorate an entire neighbourhood of 3D haunted houses to bring some 'boo' to your mantlepiece! 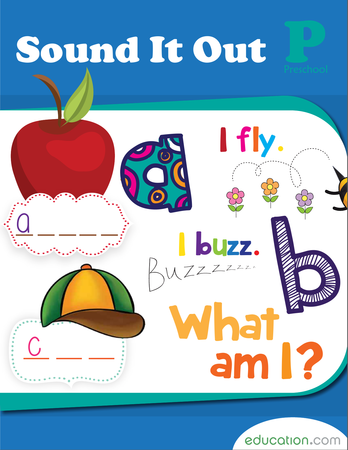 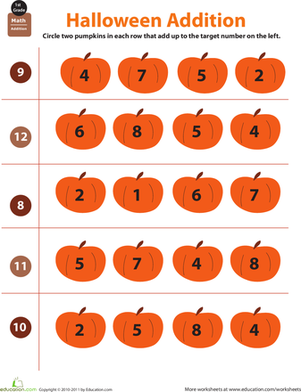 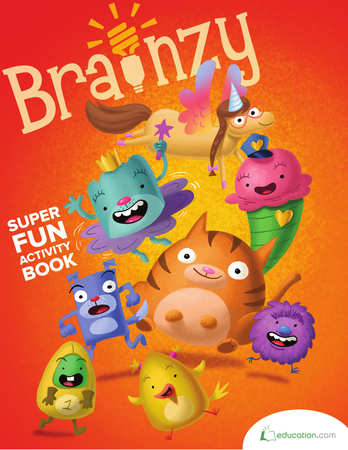 This Halloween, step up your child's addition skills with a themed worksheet featuring a slew of pumpkins for her to practise adding up.